Khaled joined InterWest's IT team in 2005 and has focused on investments in mobile, cloud and data center infrastructure, including systems, software and semiconductors. In 2016, he became InterWest’s chief operating officer, and is responsible for all of the firm’s financial, fundraising, investor relations and administrative functions. Khaled will continue as a director of Aryaka, DataRPM, InVisage Technologies, Pivot3 and Xirrus. Prior to joining InterWest, Khaled invested in IT companies for Alta Partners where his investments included Synad (acquired by ST Microelectronics), Netli (acquired by Akamai), Celetronix (acquired by Jabil) and Occam Networks (OCNW; acquired by Calix). Prior to that, he spent 16 years in sales, marketing and general management positions with a succession of successful networking and telecommunications startups. He was president and chief executive officer of FlowWise Networks and general manager and vice president, International at Ipsilon. Before that, Khaled served as chief operating officer at Advanced Computer Communications (ACC), and as vice president of marketing and services with Premisys Communications. 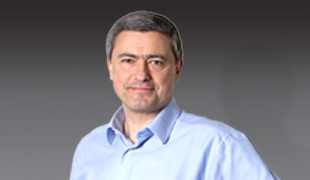 From 1987 to 1992, Khaled served as vice president of network services with Newbridge Networks.